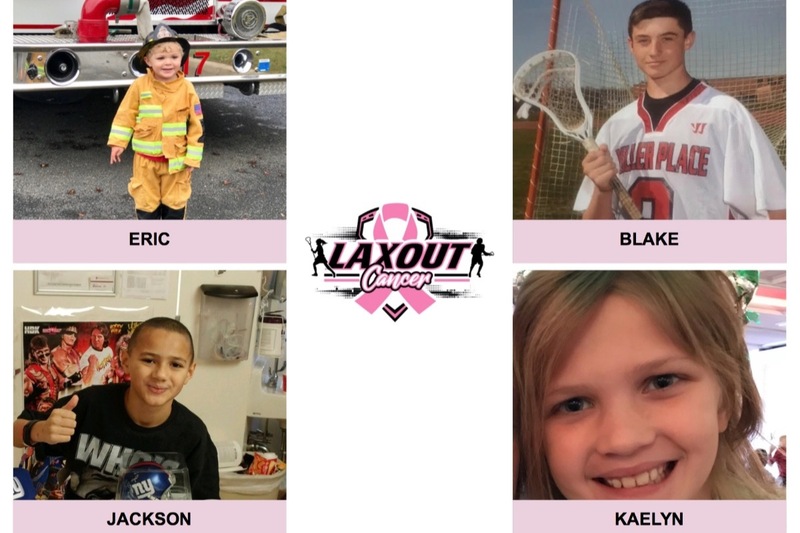 The Shoreham-Wading River community has announced its tenth Annual ‘ Lax Out Cancer’ games. 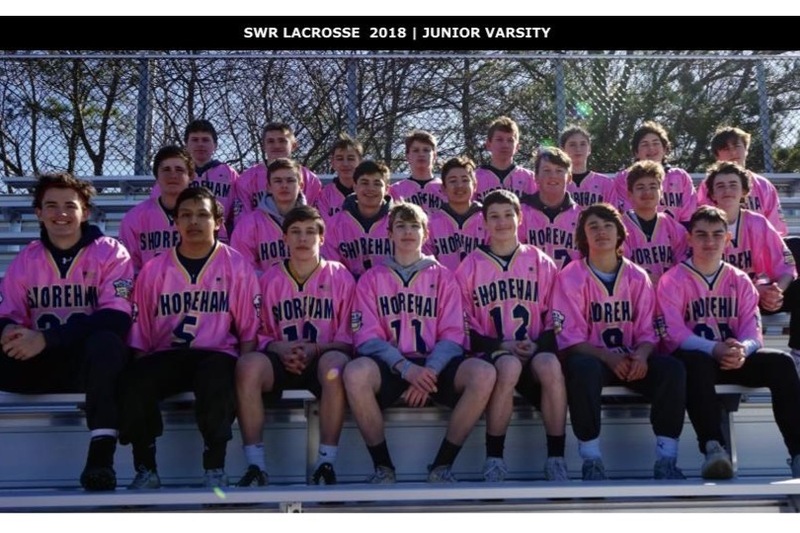 This year’s event will match the Boys Shoreham-Wading River Wildcats with the Pleasantville NY Panthers . Joining the varsity game this year will be the Girls Varsity playing Rocky Point and the JV boys squad also playing Pleasantville. Volunteers are busy soliciting local businesses and reaching out to family and friends, inviting them to make donations of time, money, food or auction items. Past experience has shown great support for this event. Crowds will be drawn from not only the competing teams, but neighboring communities and the greater lacrosse community. As the event has grown, so has the generosity of friends, neighbors and local businesses. Prior year’s we have had something for everyone at the event, including gift baskets, gift certificates, tickets to professional sports events and even vacations. The event donates 100% of proceeds to help local families facing the daunting physical, emotional and financial difficulties associated with their battle against cancer. The event will include friends, businesses, vendors, various sports teams and media coming together for a shared greater good. SWR's Varsity Coach. Mike Taylor said, "I am very happy that we are continuing such an significant event. I feel so fortunate to have such a special group of parents, and a supportive community. It is very important to me to have our athletes involved in, and understand the importance of being a concerned and productive community member. It is my goal as their coach to develop these young men into strong leaders, students, employees, and family members through athletics and community service events. It has been a pleasure to watch two rival communities put their athletic competitiveness’ aside for a moment, and unite to fight against such a devastating disease. I want to thank Coach Chris Kear and the Pleasantville community for making a difference. " The SWR community has a long history of supporters and followers far and wide who are loyal to this cause. This year St. Charles Sports Medicine re-joins the list of supporters. 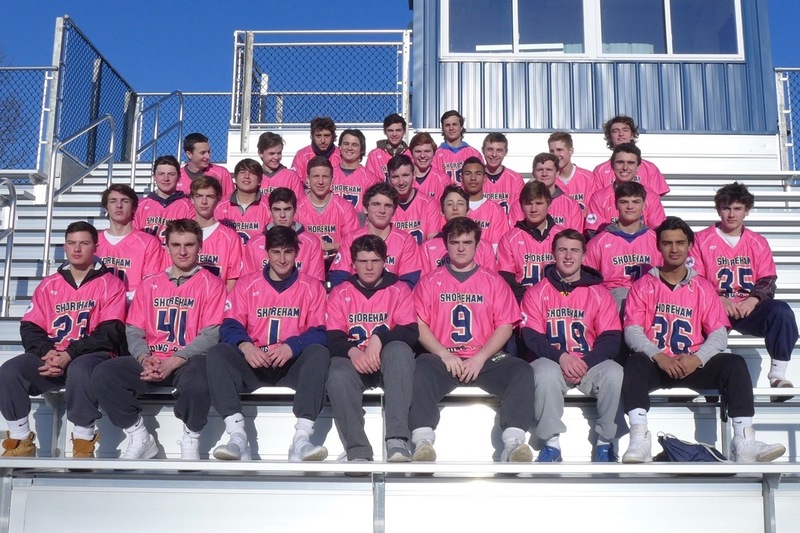 St. Charles Sports Medicine has made a generous donation to Lax Out Cancer and is helping to raise awareness. Eric is a two year old little boy, and lives in Shoreham. He was diagnosed with Langerhans Cell Histiocytosis in March of 2017. Histiocytosis affects about 1 in every 200,000 children. Eric had a large tumor throughout his jaw, with additional bone lesions attacking his clavicle, elbow, and c7 vertebrae. He was diagnosed as a multi-system LCH because it was also attacking his lymph nodes and skin. He is currently being treated at Stony Brook Hospital with 52 weeks of chemotherapy. Eric is a kind and caring little boy with an infectious smile. Like most little boys, he loves playing with trucks, and learning about dinosaurs. He enjoys being outside and playing with his big sister. His favorite thing to do is to pretend to be a fireman. Jackson is an 11 year old boy from Port Jefferson Station. He was diagnosed with AML (Acute Myeloid Luekemia) in December of 2013. He completed his treatment and was in remission. Unfortunately Jacksons cancer returned and he had to under go intense Chemo Therapy and a Bone Marrow Transplant. Jackson was in the hospital from December until March, and he will continue his chemotherapy treatment for the next 2 years. Right now Jackson is struggling with complications from Graft Verse Host Disease. Jackson is a happy boy with a huge heart. He loves sports, super hero's, video games and especially family. Kaelyn is a 13 year old girl, and lives in Lindenhurst. She has been fighting Brain Cancer for the last 2 years. She has received the maximum dose of radiation and chemotherapy. Her last two scans have shown something has returned at the tumor sight. Doctors are in the process of planning their next course of action. Kaelyn is the youngest of seven children. She is energetic, caring, kind, and happy. She loves sports, spending time with friends, but most of all family! Blake is a 15 year old boy, and lives in Miller Place. Blake was diagnosed with All T-Cell Leukemia on February 15, 2018. He has started intensive chemotherapy at Stonybrook Hospital. Blake will receive treatment for the next 3 years. Blake is an energetic, and enthusiastic teenager with a smile that is infectious. He is smart, caring , friendly, happy, and athletic. Blake is not able to return to school or play lacrosse for the remainder of the year. He is determined to fight this until he wins, so that he can get back to doing all the things that he loves!